Here we go again …. 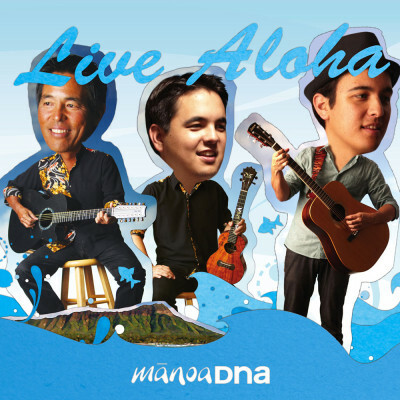 | ManoaDNA.com | Order Your Copy of Live Aloha! It’s that time of year again and it finally feels like Fall has arrived! It definitely feels a lot cooler now that the tradewinds are back along with the refreshing Manoa morning mists. My avocado tree is going nuts … there must be at least a couple of hundred pears that still need to be picked and I can’t seem to give ’em away fast enough! And are you kidding?! Halloween is this Friday?! Man, this year is flying by! Before you know it, it’ll be Thanksgiving in a few weeks, then Christmas, then New Years, and finally … 2015!! And we still have tons of stuff to do before year end, not the least of which is our annual ManoaDNA Ohana Tour to Japan coming up soon. Rehearsals are back on the schedule and I can already feel the adrenaline rush starting … can’t wait to rock the stage with my boys again! We have shows in Yokohama, Tokyo, Nagoya, and Sapporo, and for the first time we’ll be bringing a group from Hawai’i to join in the merriment! We thought it’d be great for our Hawai’i pals to meet our Japan fans … and see who can party harder!! It’s gonna be epic, so stay tuned! ‘IOLANI’s been on a roll too … the UNIQLO project was a huge success and it gave our brand huge exposure to the world market. We’ve already received several collaboration offers from other international companies so I don’t think the ride’s over yet. Once again … stay tuned! Next post Aloha from Japan!